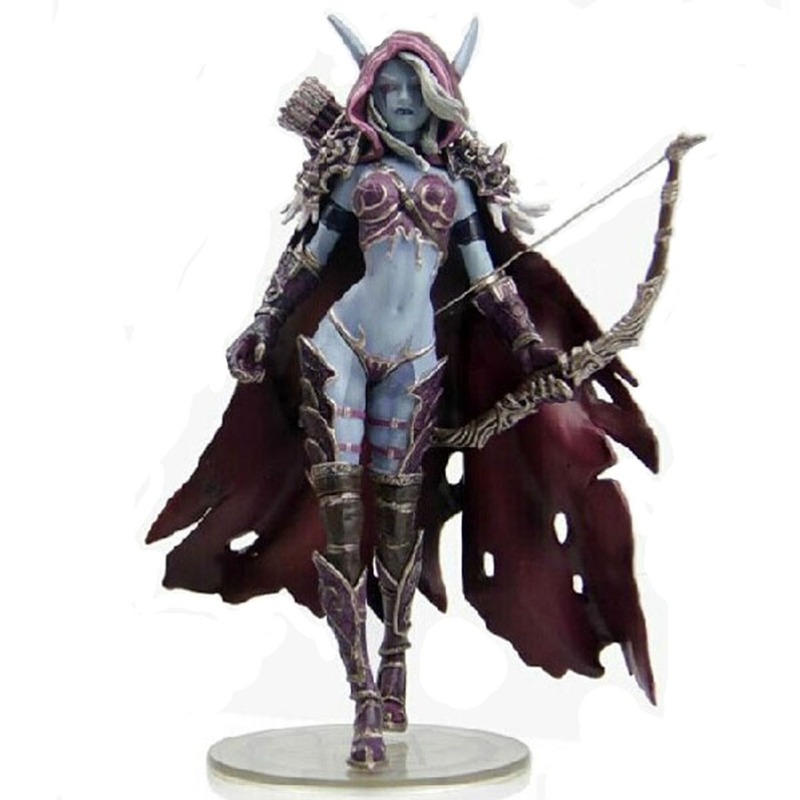 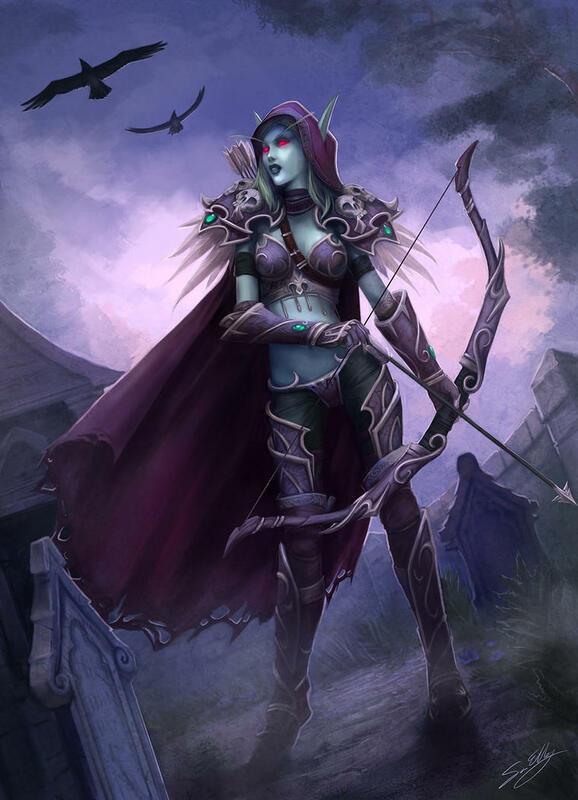 Sylvanas Windrunner is a fictional character who appears in the Warcraft series of video games by Blizzard Entertainment. 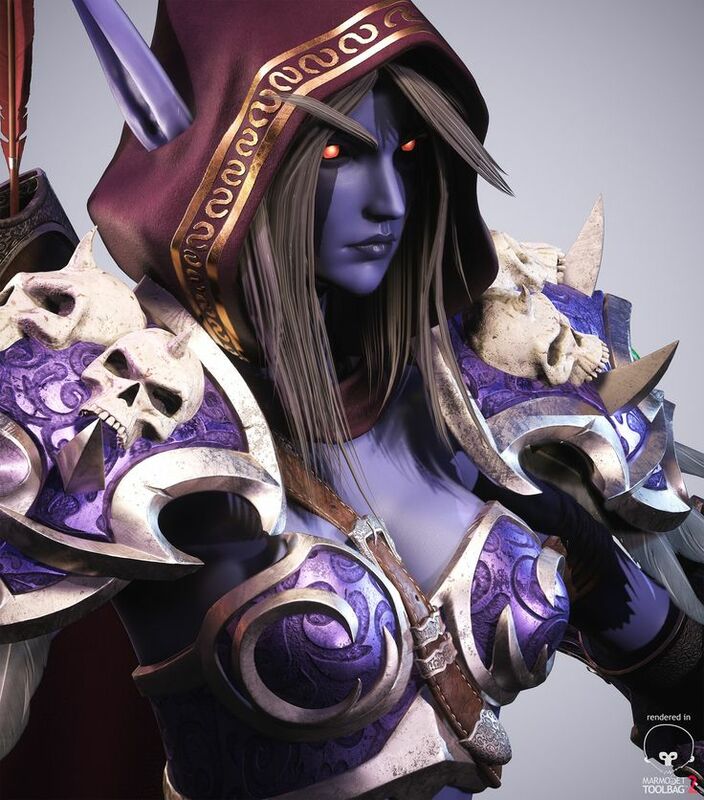 Originally introduced in Warcraft III: Reign of Chaos, she received a dramatic redesign in World of Warcraft: Legion to her current appearance, much more in line with her in-universe lore depictions. 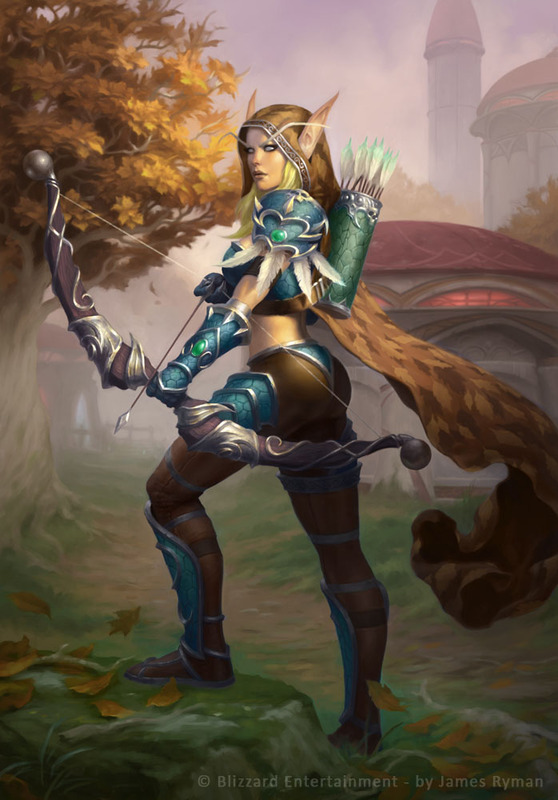 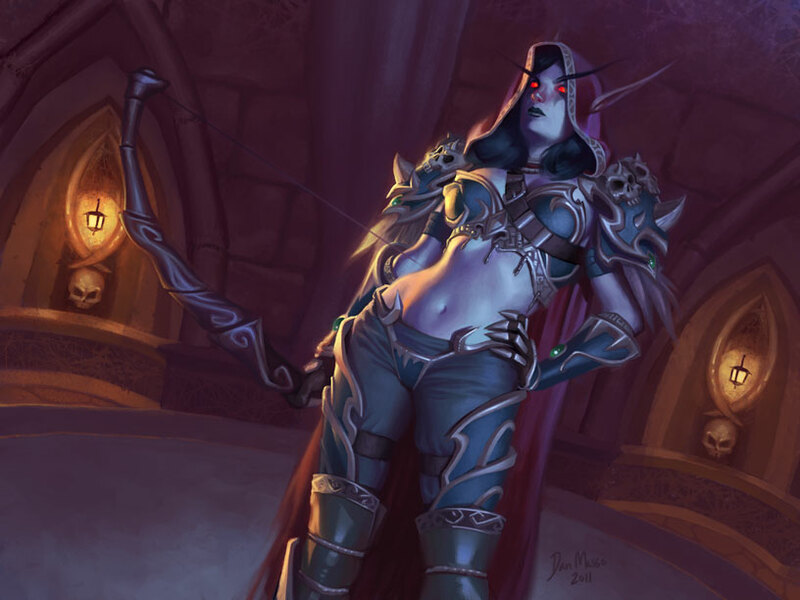 Once a high elf ranger-general of Silvermoon, Sylvanas was murdered by Arthas Menethil when she led a doomed resistance against his invasion. 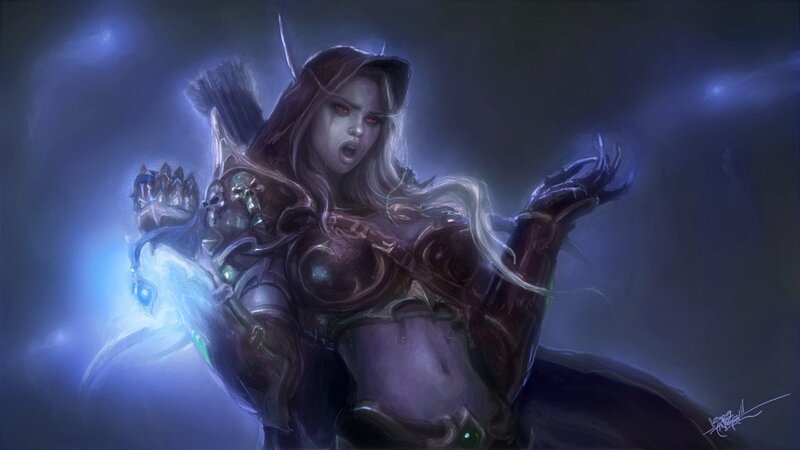 In one climactic battle, that left the capital city of Silvermoon in ruins, he managed to finally beat the elven general, ripping her soul out and transforming her into a banshee. 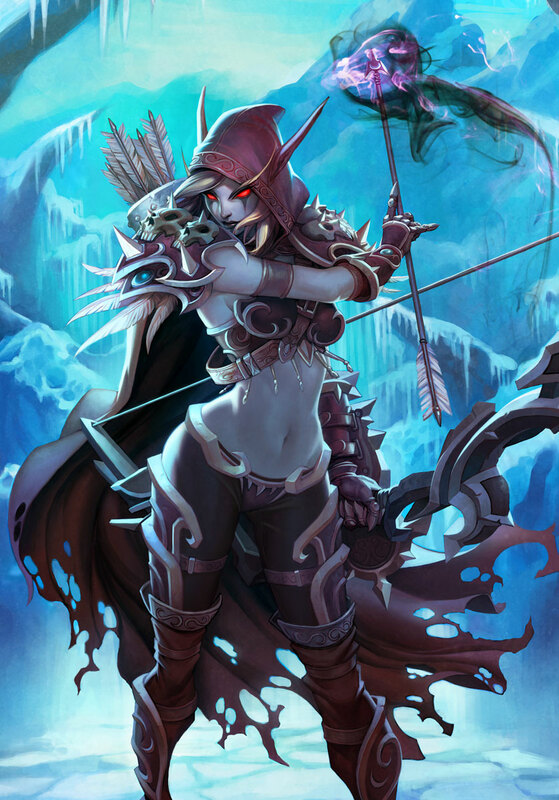 This newest agent of the Lich King was empowered by hatred of the living and an everlasting desire to rule over her new brethren. 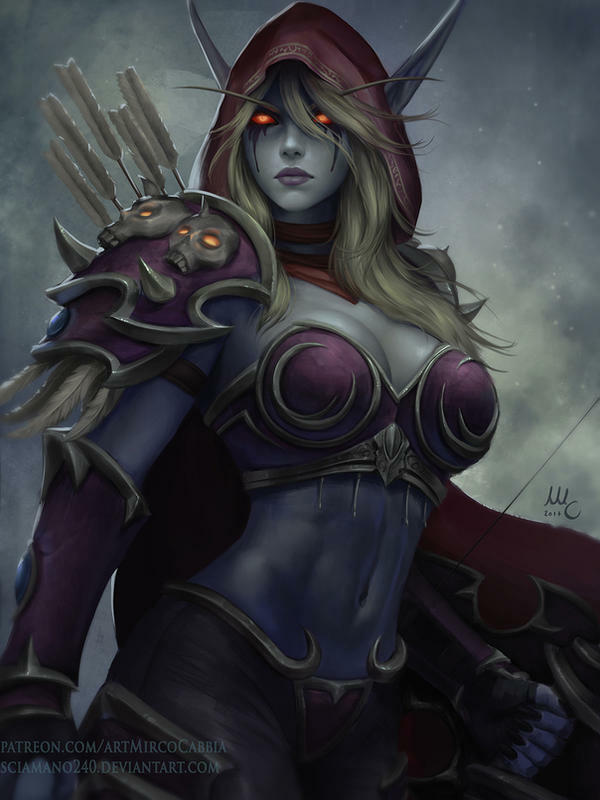 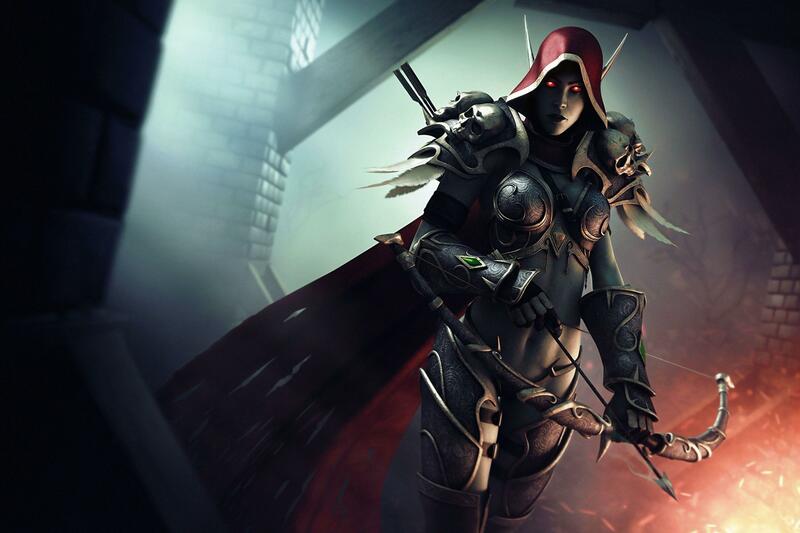 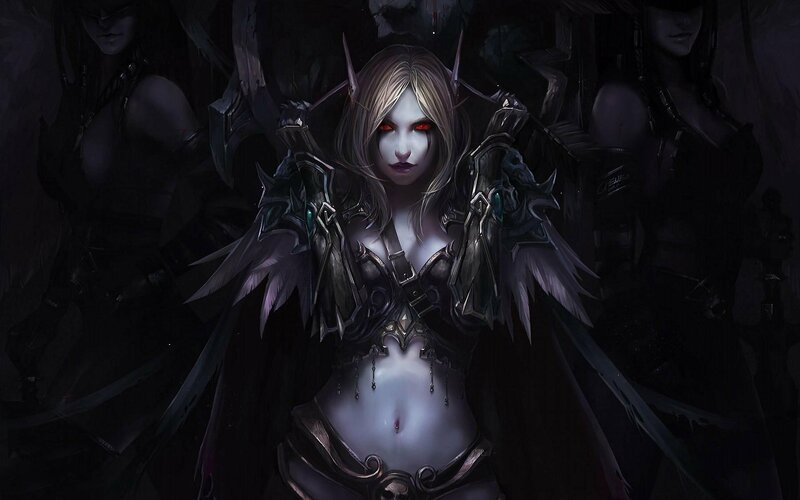 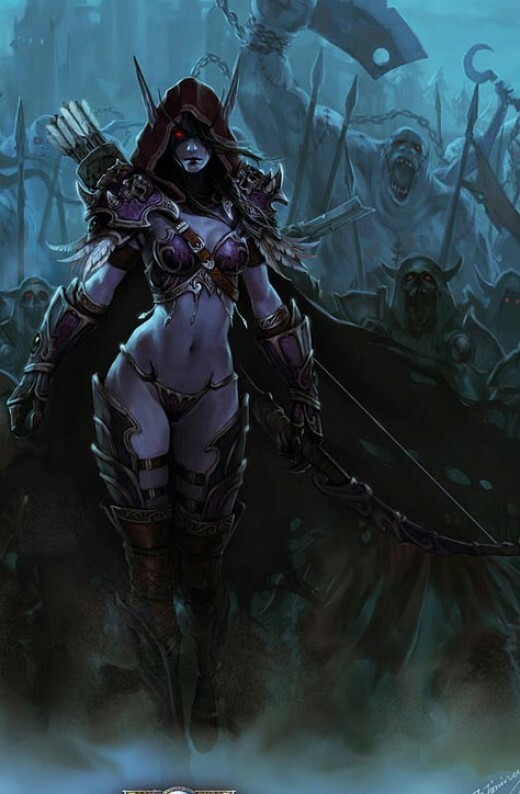 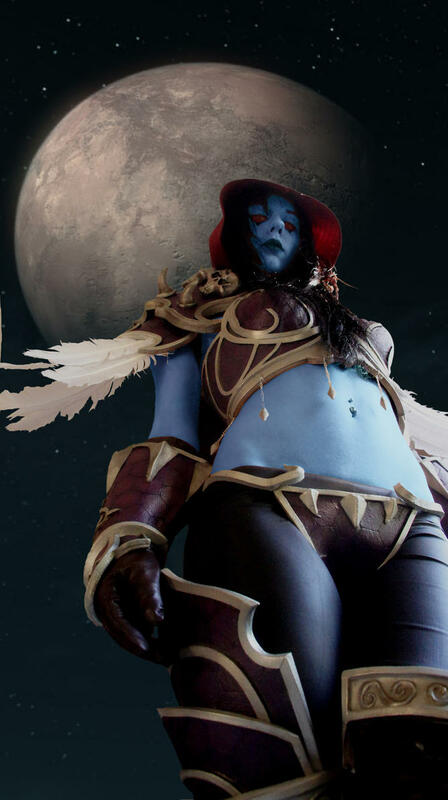 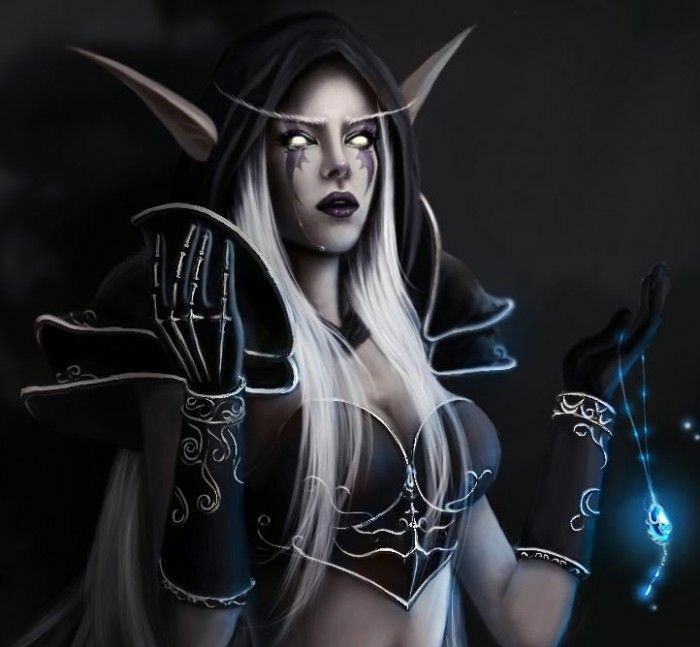 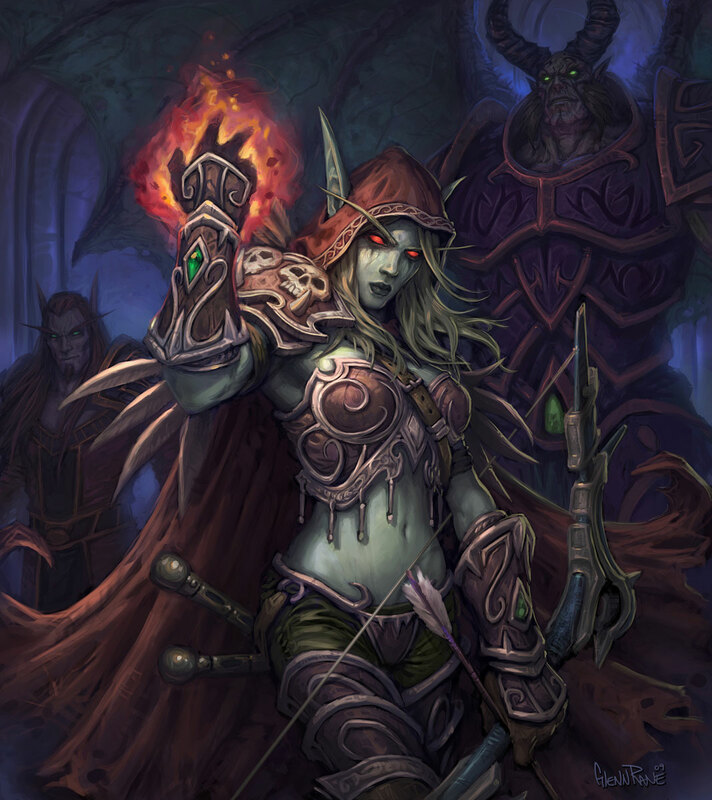 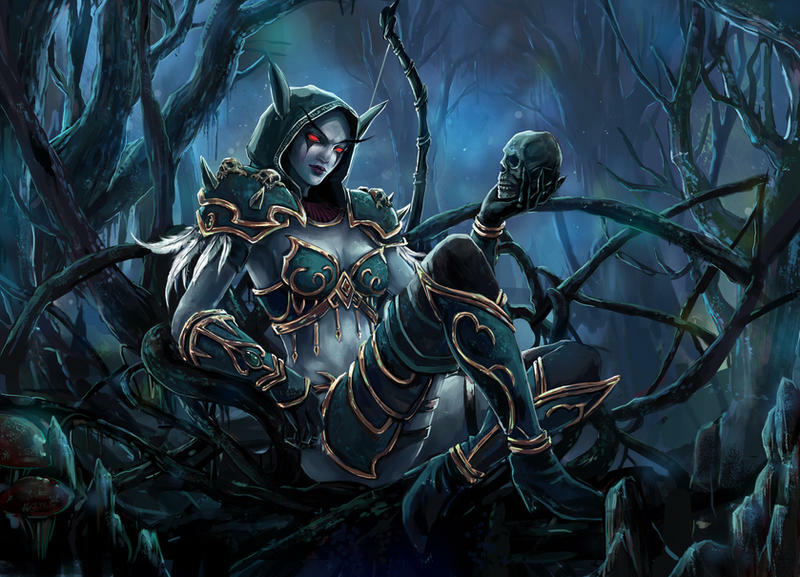 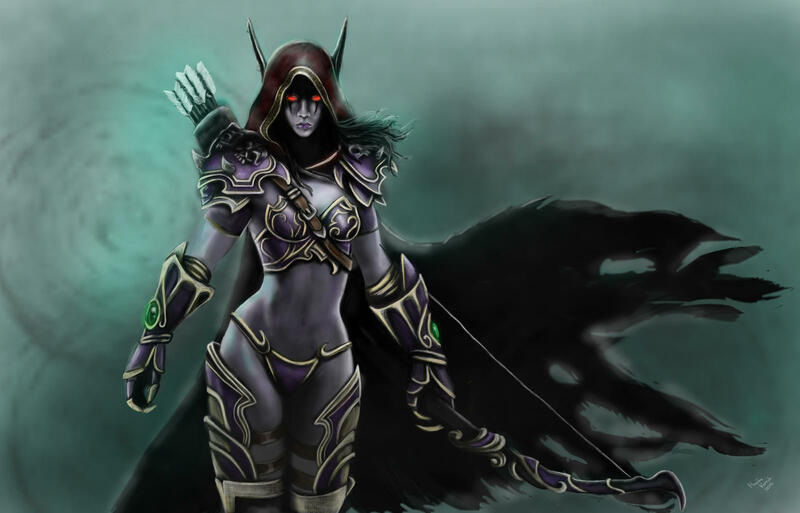 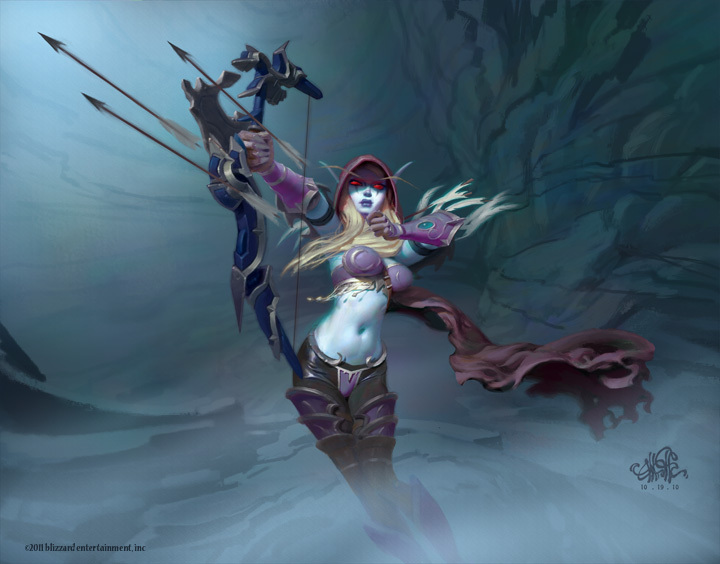 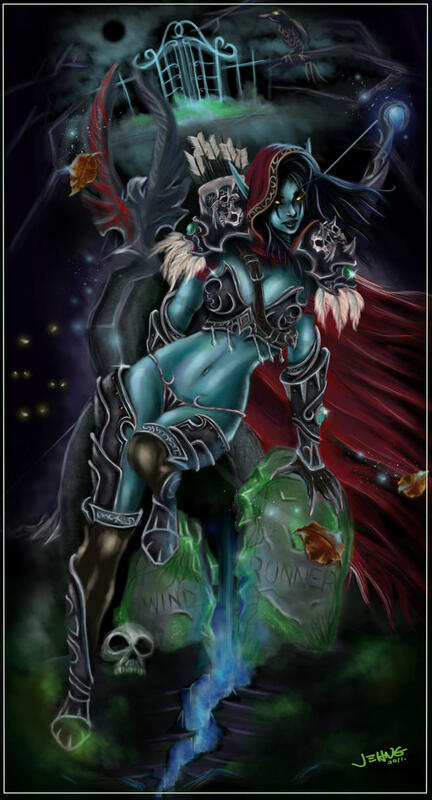 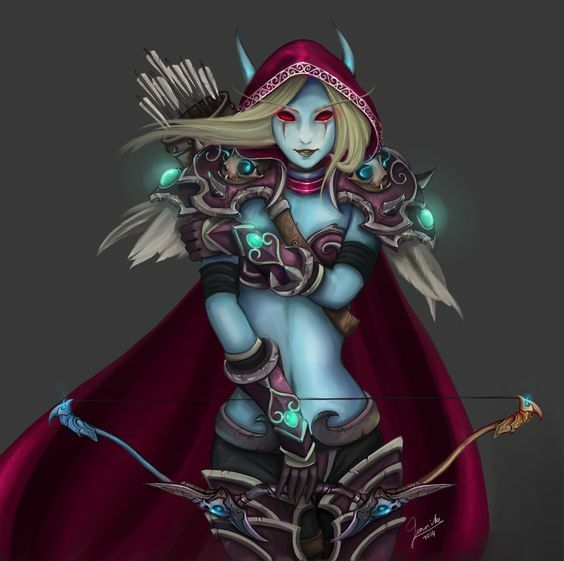 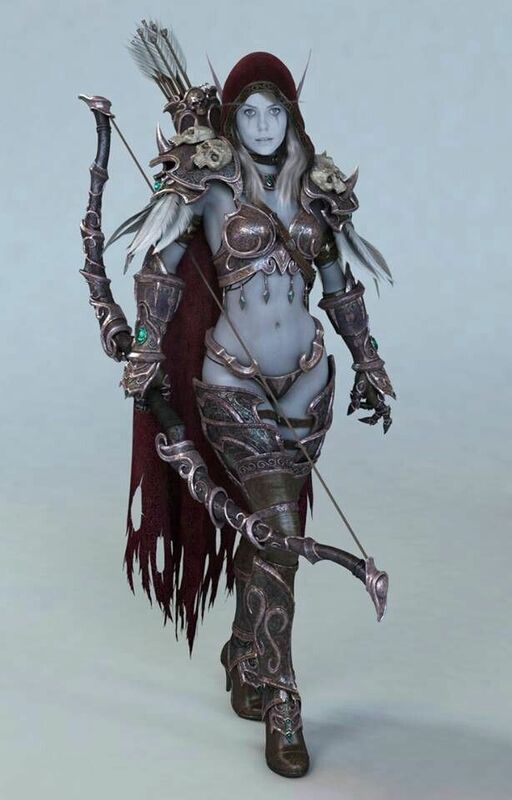 In The Frozen Throne, Sylvanas was able to regain her free will and body and founded the Forsaken faction of undead while styling herself as the "Banshee Queen" and "Dark Lady". 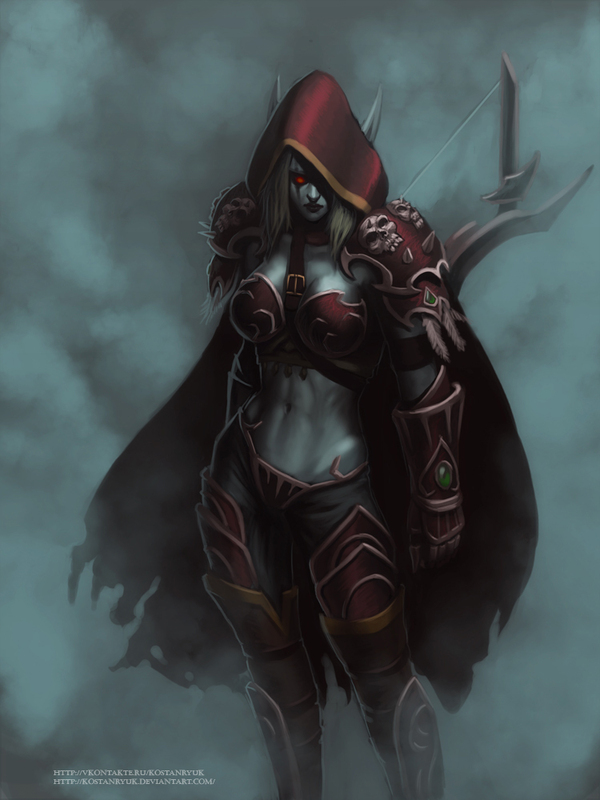 With her new undead forces vowing to take revenge on the Lich King, they set out to wage war against the Scourge.